Back in 2013 and after long deliberation, I deleted my Facebook, Google+, and Academia.edu accounts. Then, I deleted my Flickr/Yahoo and LinkedIn accounts. Now, I’ve wiped out my Twitter and Reddit accounts. I used Twitter for seven-and-a-half years and had posted nearly 10,000 tweets (this number ebbed after cleaning up a hoard of past tweets). And I had a Reddit account for four years, and I had a healthy number of upvotes for my LEGO-related posts and discussions there. I leveraged my Twitter and Reddit accounts to keep up with what’s going on in my profession as well as learn and contribute to other areas of interest including computer culture and LEGO. However, my cost for keeping up to date was considerable in terms of time and cognitive effort. 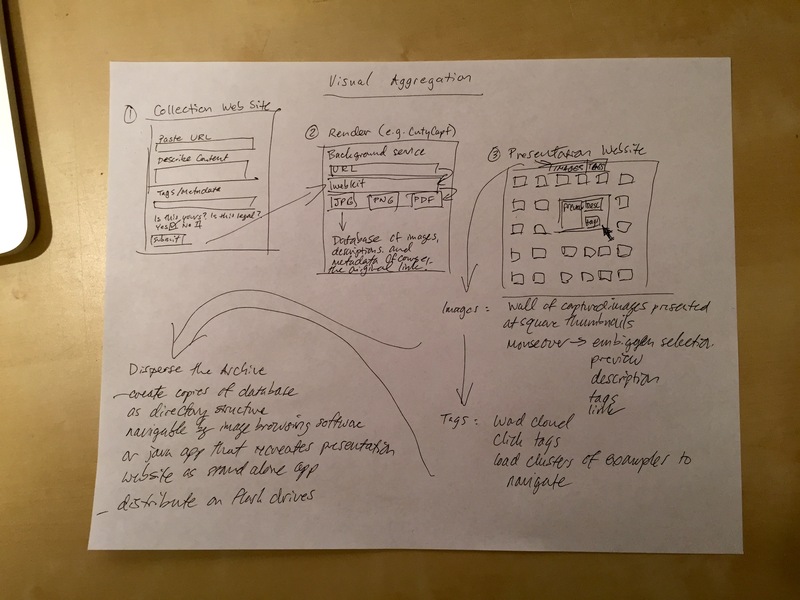 And while I saw, read, and learned a lot from the work of social media, actionable returns–what I think of as a meaningful returns in terms of conversation, connections, and opportunities–were very small. Of course, there are arguments for remaining on social media, such as maintaining a professional presence on these platforms, publicizing the work that you and others do, discovering new and compelling work that isn’t amplified elsewhere, and leveraging social media to expand discourse through discussion, debate, and public engagement. For me, however, the daily reality of these platforms do not live up to the promise or potential with which they are often sold to end users. My choices and these issues will inform how I approach social media in my classes. The reality for many of my students–especially those entering the field of technical communication–will need and rely on various social media platforms for their professional work and advancement. I think that informed, strategic, and purposeful social media choices are the best for them and others. I’m looking forward to these upcoming discussions in the classroom. For now, I’m going to remain blogging here at dynamicsubspace.net and posting videos on my YouTube channel. If you’d like to trim your social media presence, Wired has a guide for deleting the most popular social media accounts. These instructions show how to deactivate your Twitter account. After 30 days of inactivity, your account and its content are deleted. And, these instructions tell you how to delete your Reddit account. One caveat: Your posts and comments will remain unless you take steps to remove or edit them. In my case, I manually deleted them, but there are automated approaches, such as Shreddit and Nuke Reddit History for Firefox or Chrome. 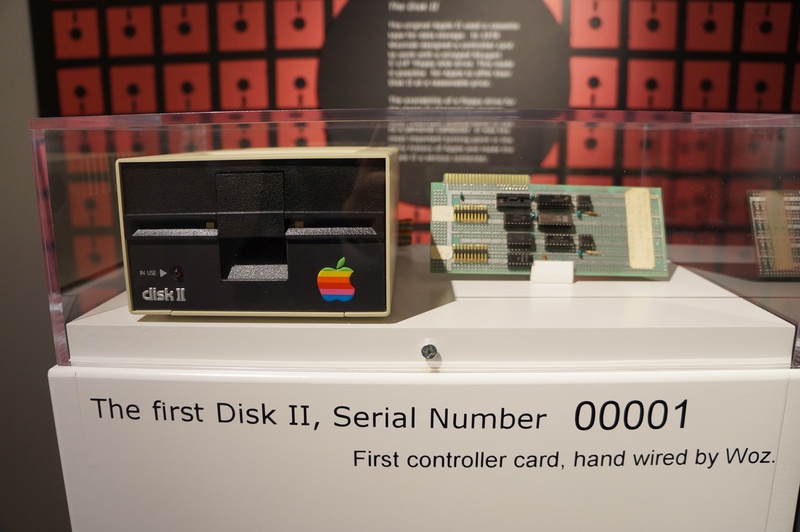 The first Apple Disk II and controller card hand wired by Wozniak. Photo taken at the Apple Pop-Up Museum in Roswell, GA.
Matthew Kirschenbaum constructs a compelling and interesting argument in his book Mechanisms: New Media and the Forensic Imagination (2008). He argues that while new media and computer software might seem ephemeral and intangible, it has in fact physicality, a many-layered history, and emerging archaeological protocols (developed by Kirschenbaum and many others). However, one section titled “Coda: CTRL-D, CTRL-Z” attracted my attention, because its use of the term “recover” in a story about the debut of the Apple Disk II seemed to imply computer disk data recovery instead of what historically happened, which was the manual rewriting of the software that had been accidentally overwritten during a botched disk copy operation. Kirschenbaum uses the story of Steve Wozniak and Randy Wigginton’s development of software to control the reading and writing of data to Apple’s Disk II, which was based on Shugart’s 5 1/4″ floppy disk drive, before its unveiling at the 1978 CES in Las Vegas to establish an analogy: “Nowadays we toggle the CTRL-D and CTRL-Z shortcuts, deleting content and undoing the act at a whim. Gone and then back again, the keyboard-chorded Fort and Da of contemporary knowledge work” (Kirschenbaum 69). The idea is that computer facilitate a kind of gone and back again play as described by Freud. Of course, the keyboard shortcuts that he refers to are not universal across platforms or software, but the concept is pervasive. Nevertheless, my focus is not on that concept per se but instead on the Apple Disk II debut anecdote, the terminology surrounding what actually happened, and how that relates to the kinds of work that we do in new media archaeology. “When they got to Las Vegas they helped to set up the booth, and then returned to working on the disk drive. They stayed up all night, and by six in the morning they had a functioning demonstration disk. Randy suggested making a copy of the disk, so they would have a backup if something went wrong. They copied the disk, track by track. When they were done, they found that they had copied the blank disk on top of their working demo! By 7:30 am they had recovered the lost information and went on to display the new disk drive at the show.” (Weyhrich par. 13, qtd. in Kirschenbaum 69). “Thus the disk handling routines that took the nascent personal computer industry by storm were accidentally overwritten on the very morning of their public debut–but recovered and restored again almost as quickly by those who had intimate knowledge of the disk’s low-level formatting and geometry” (Kirschenbaum 69). Weyhrich uses the term “recovered” to refer to the software Wozniak and Wigginton had lost during the bad copy operation. Kirschenbaum borrows Weyhrich’s “recovered” and adds “restored” to describe the final state of the software on Wozniak and Wigginton’s floppy disks for use on the CES show floor. When I first read Kirschenbaum’s book, his reading seemed unncessarily ambiguous. On the one hand, Kirschenbaum does not directly say that the two Apple engineers used their knowledge of controlling the disk drive and reading low-level information on the floppy disks to “recover” the lost data–i.e., use the drive and disk technology to salvage, rescue, or retrieve what remains on the disk but otherwise might seem lost to someone with less advanced knowledge. On the other hand, Kirschenbaum’s reading of the incident–“recovered and restored again almost as quickly”–is implicitly aligned with his own project of the physicality of data stored on new media storage devices. One could mistakenly believe that Wozniak and Wigginton had restored the lost data from the overwritten floppy disk. Steven Wozniak writes about this episode in his autobiography, iWoz: Computer Geek to Cult Icon (2006). Before turning to Wozniak’s later recall of this event in 1978, I would like to look at the two sources that Weyhrich cites on the passage that Kirschenbaum cites in his argument. “We worked all night the day before we had to show it [the disk drive] at CES. At about six in the morning it was ready to demonstrate. Randy thought we ought to back it up, so we copied the disk, track by track. When we were done, he looked down at them in his hands and said, “Oh, no! I wrote on the wrong one!” We managed to recover it and actually demonstrated it at CES” (Williams and Moore 168). In this primary source, we see Wozniak using the term “recover” to indicate that they were able to get the demonstration operational in time for CES that day, but what form the “recovery” took place is not explained. Was it data recovery in the technical sense or data recovery in the hard work sense of re-writing the code? “Wigginton and Woz arrived in Las Vegas the evening before the event. They helped set up the booth that night and went back to work on the drive and the demo program. They planned to have it done when the show opened in the morning even if they had to go without sleep. Staying up all night is no novelty in Las Vegas, and that’s what they did, taking periodic breaks from programming to inspect the craps tables. Wigginton, 17, was elated when he won $35 at craps, but a little later back in the room, his spirits were dashed when he accidentally erased a disk they had been working on. Woz patiently helped him reconstruct all the information. They tried to take a nap at 7:30 that morning, but both were too keyed up” (Freiberger and Swaine 286). “We set up in our booth and worked until about 6 a.m., finally getting everything working. At that point I did one very smart thing. I was so tired and wanted some sleep but knew it was worth backing up our one good floppy disk, with all the right data. . . . But when I finished this backup, I looked at the two unlabeled floppy disks and got a sinking feeling that I’d followed a rote pattern but accidentally copied the bad floppy to the good one, erasing all the good data. A quick test determined that this is what happened. You do things like that when you are extremely tired. So my smart idea had led to a dumb and unfortunate result. . . . We went back to the Villa Roma motel and slept. At about 10 a.m. I woke up and got to work. I wanted to try to rebuild the whole thing. The code was all in my head, anyways. I managed to get the good program reestablished by noon and took it to our booth. There we attached the floppy and started showing it” (Wozniak and Smith 218-219). In this account, Wozniak says that he is responsible for overwriting the good disk with the bad (as opposed to what he said to Williams and Moore for the 1985 Byte magazine interview), but most important is the terms that he uses to describe how he made things right: “I wanted to try to rebuild the whole thing.” He “reestablished” the program by reentering “the code . . . in [his] head” into the computer that they had on-hand. Wozniak’s word choice and description makes it clearer than in his earlier interview that he had to remake the program from memory instead of attempting to “recover” it from the overwritten media itself. While, it might have been theoretically possible for someone as well versed in the mechanism that by that point he had had a significant hand in redesigning from the original Shugart drive mechanism and controller card and of course his development with Wigginton of the software that controlled the hardware to read and write floppy disks in the Apple Disk II system (computer-controller card-disk drive), Wozniak, who reports throughout his autobiography as an engineer who works things out in head meticulously before putting his designs into hardware or software, took the easiest path to the solution of this new media problem: write out the software again from memory. Memory, of course, is another tricky element of this story. It was my memory of Wozniak’s exploits that drew me to this passage in Kirschenbaum’s book. My memory of Kirschenbaum’s argument informed the way that I interpreted what I thought Kirschenbaum meant by using this episode as a way of making his Fort-Da computer analogy. Kirschenbaum’s memory of the episode as it had been interpreted secondhand in Weyhrich’s history of the Apple II informed how he applied it to his argument. Wozniak’s own memory is illustrated as pliable through the subtle differences in his story as evidenced in the 1985 Byte magazine interview and twenty-one years later in his 2006 autobiography. Ultimately, the episode as I read it in Kirschenbaum’s Mechanisms was caught in an ambiguous use of language. The use of certain terms to describe the work that we do in new media–in its development, implementation, or daily use–relies on the terminology that we use to describe the work that is done to others–lay audience or otherwise. Due to the kind of ambiguity illustrated here, we have to strive to select terms that accurately and explicitly describe what it is we are talking about. Of course, primary and secondary accounts contribute to the possibility of ambiguity, confusion, or inaccuracy. Sometimes, we have to dig more deeply through the layers of new media history to uncover the fact that illuminates the other layers or triangulate between differing accounts to establish a best educated guess about the topic at hand. Freiberger, Paul and Michael Swaine. Fire in the Valley: The Making of the Personal Computer. 2nd ed. New York: McGraw-Hill, 1984. Print. Kirschenbaum, Matthew G. Mechanisms: New Media and the Forensic Imagination. Cambridge: MIT Press, 2008. Print. Weyhrich, Steven. “The Disk II.” Apple II History. Apple II History, n.d. Web. 13 Sept. 2015. Williams, Gregg, and Rob Moore. “The Apple Story, Part 2: More History And The Apple III”, Byte, Jan 1985: 167-180. Web. 13 Sept. 2015. Wozniak, Steve and Gina Smith. iWoz: Computer Geek to Cult Icon. New York: W. W. Norton & Co., 2006. Print. The presentation that I will be giving tomorrow afternoon at 1:00PM at the annual Science Fiction Research Association Conference (this year at Stony Brook University on June 25-27, 2015) will be nothing like the title and abstract that I submitted earlier this year, but that’s a good thing. Over the past several months, my reading and research has focused on one small corner of that original abstract: The Voyager Company’s Expanded Book Edition of William Gibson’s Neuromancer with Count Zero and Mona Lisa Overdrive (1992). I began to see the cyberspace deck as an important image and mechanism connecting Gibson’s fictional world with our contemporary shift from written to digital culture. Above, you can watch a demo video that will accompany my presentation as a backdrop to my talk, and below, you can find my paper’s abstract, useful links, and my works cited list for reference. I will have handouts of this information available at the session tomorrow, too. Instead of focusing on the epistemology or ontology of cyberspace, this paper explores the cyberspace deck in William Gibson’s fictions as a mechanism of inscription. It does this by charting Gibson’s inspiration in the Apple IIc, his comparison of it to the first Apple PowerBooks, and the publication of his cyberspace deck-infused fictions as the Voyager Company Expanded Book edition in 1992. Through discussing these connections, it addresses other issues of importance for the current shift from written culture to digital culture, such as the effect of reading on screens as opposed to print, and the effect of digital culture on the human brain. Casimir, Jon. “Voyager Seeks to Improve Thinking.” Sydney Morning Herald (23 May 1995): n.p. Web. 18 May 2015. DeStefano, Diana and Jo-Anne LeFebre. “Cognitive Load in Hypertext Reading: A Review.” Computers in Human Behavior 23 (2007): 1616-1641. Web. 22 June 2015. Gibson, William. “Afterword.” Neuromancer with Count Zero and Mona Lisa Overdrive. Santa Monica, CA: Voyager Company, 1992. n.p. 3.5” Floppy Disk. —. Burning Chrome. New York: EOS, 2003. Print. —. Count Zero. New York: Ace, 1987. Print. —. Mona Lisa Overdrive. New York: Bantam, 1989. Print. —. Neuromancer. New York: Ace, 1984. Print. —. Neuromancer with Count Zero and Mona Lisa Overdrive. Santa Monica, CA: Voyager Company, 1992. 3.5” Floppy Disk. —. Package. Neuromancer with Count Zero and Mona Lisa Overdrive. Santa Monica, CA: Voyager Company, 1992. 3.5” Floppy Disk. Kirschenbaum, Matthew G. Mechanisms: New Media and the Forensic Imagination. Cambridge, MA: MIT Press, 2008. Print. Markley, Robert. “Boundaries: Mathematics, Alientation, and the Metaphysics of Cyberspace.” Configurations 2.3 (1994): 485-507. Web. 23 June 2015. Matazzoni, Joe. “Books in a New Light.” Publish (October 1992): 16-21. Print. Mazlish, Bruce. The Fourth Discontinuity: The Co-Evolution of Humans and Machines. New Haven: Yale UP, 1993. Print. Sellen, Abigail J. and Richard H.R. Harper. The Myth of the Paperless Office. Cambridge, MA: MIT Press, 2002. Print. Virshup, Amy. “The Teachings of Bob Stein.” Wired (April 2007): n.p. Web. 5 Jan. 2015.